Caput Mundi: Rome loves its ancient reputation as the capital of the world, and rightfully so. For more than two and half millennia, the Eternal City has accumulated innumerable and incredible antiquities, and extraordinary and endless galleries of Renaissance and Baroque art. 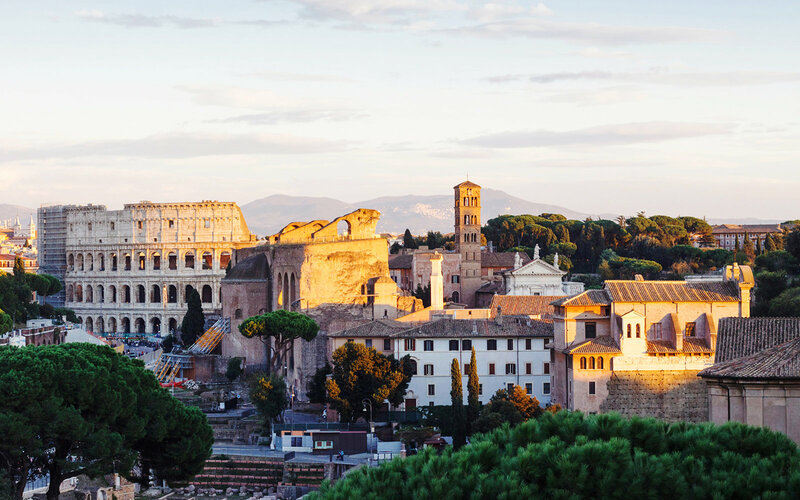 An open-air museum, the city has an ever-growing list of spectacular (and visitable) archaeological sites and monuments, gilded churches filled with paintings by Italy’s top master artists, exquisitely sculpted fountains, and beautifully manicured public parks. But you don’t get to be the Eternal City without keeping some pace with the modern world. Sure, the warmest of the European capitals has plenty of UNESCO World Heritage Sites—the Colosseum, the Pantheon, the Sistine Chapel—but when you visit Rome, the most irresistible quality may be how its modern-day trattorias and sleek coffee bars happily co-exist with ancient treasures, and how even hallowed spots like the Pantheon come to life with chatter and espresso drinkers at all hours.